An all-natural fluoride-free toothpaste with proteins, antioxidants and Blue Green Algae to naturally strengthen teeth and gums. An exclusive combination of natural polishers includes bamboo powder, calcium carbonate and silica to protect against the build up of tartar. Spearmint and Parsley Extracts provide long-lasting freshness for breath. Calcium Carbonate, Aqua (Water), Glycerin, Sodium Cocoyl Glutamate, Mentha Viridis (Spearmint) Leaf Oil , Carrageenan, Aloe Barbadensis Leaf Gel*, Aphanizomenon Flos-Aquae Powder, Bambusa Arundinacea Stem Powder, Carum Petroselinum (Parsley) Extract, Citrus Grandis (Grapefruit) Seed Extract, Perilla Ocymoides Seed Extract, Stevia Rebaudiana Leaf/Stem Extract, Silica, Sodium Bicarbonate *Certified Organic Ingredient. The Jason Sea Fresh™ Antiplaque & Strengthening Fluoride Free Toothpaste - 170g product ethics are indicated below. To learn more about these product ethics and to see related products, follow the links below. It is getting increasingly difficult to find a toothpaste without flouride that still tastes like toothpaste! This is the closest I have been able to find, the consistency is like regular toothpaste with a nice minty flavour that's not too strong and a slightly salty taste like bicarbonate of soda. wont use any other toothpaste now! your mouth feels so fresh and cleans your teeth really well without all the nasties... will always get this toothpaste for the family now and lasts for ages as you dont need to use much at all! 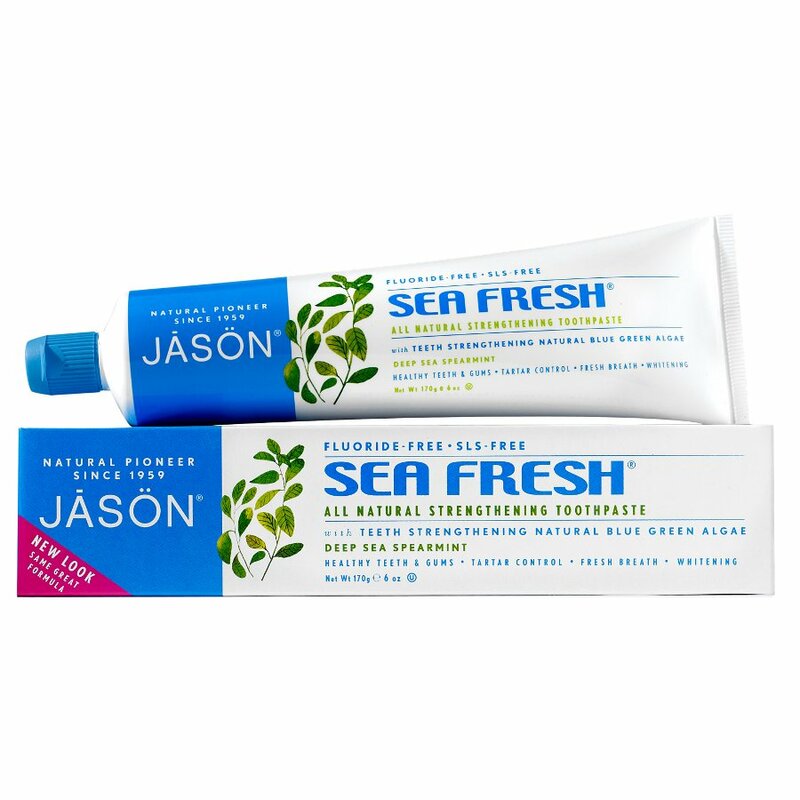 There are currently no questions to display about Jason Sea Fresh™ Antiplaque & Strengthening Fluoride Free Toothpaste - 170g.